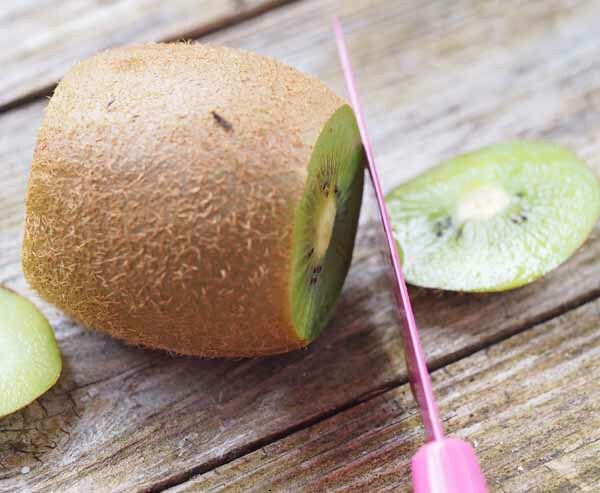 How To Peel A Kiwi Fruit Without Wearing The Juice! 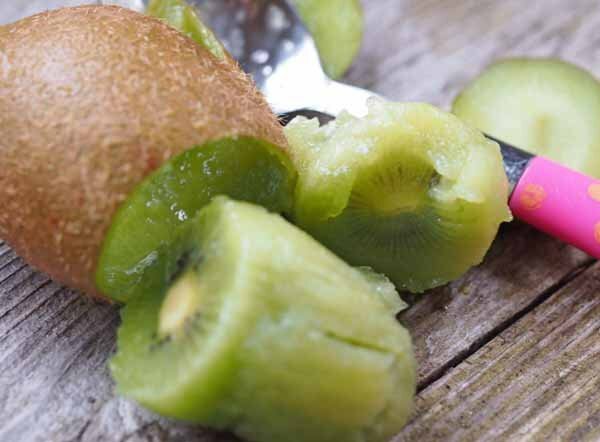 Kiwi fruit. A hidden treasure. Those fuzzy greyish brown globes that hide a tantalising, vibrant and juicy delicious fruit. 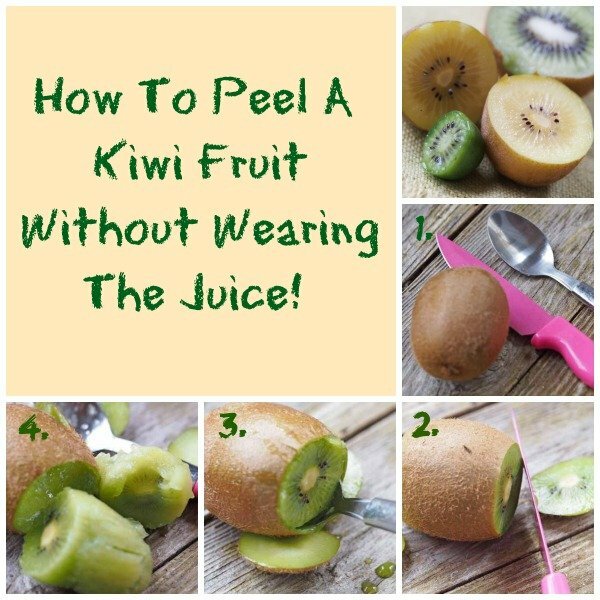 They can be a bugger to peel though. I’ve often ended up covered in the yummy green juice but actually wearing the stuff isn’t quite what I’d had in mind! Using a sharp knife cut off both ends. Using a teaspoon go around the inside of the skin in one single movement. 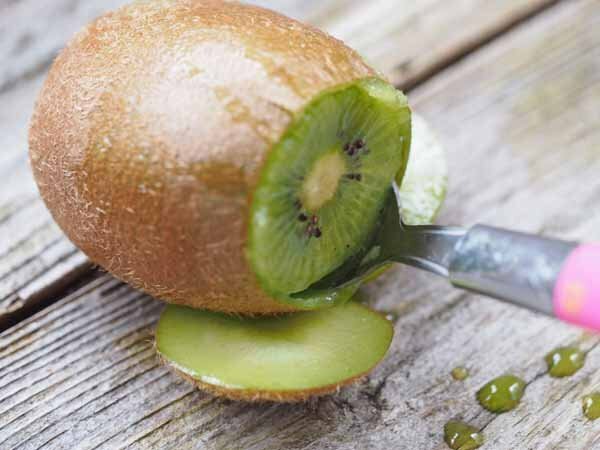 If your spoon can’t reach right through to the other side, simply tuern the fruit around and do the same at the other end. The green goodness will then just pop right out ready to eat and enjoy. Are you wearing any of the juice? No, it’s all in with the fabulous fruit ready to eat, perfect. Easy peasy….when you know how!! I sometimes just eat them like a soft boiled egg, slice off the top and then spoon out the middle, chomping as I go.